Watching ice sculptures come to life before your eyes. Joining a crowd of holiday-costumed skiers while carving some of Canada’s best snow. Basking in the festive buzz of a slope-side torchlight parade to welcome the new year. Competing against your friends in a race to the bottom of the ski hill in a homemade sled… This is just a taste of the unique events held in Banff and Lake Louise each ski season. Here’s our guide to where you’ll make the best memories, on and off the hill, in 2016-17. 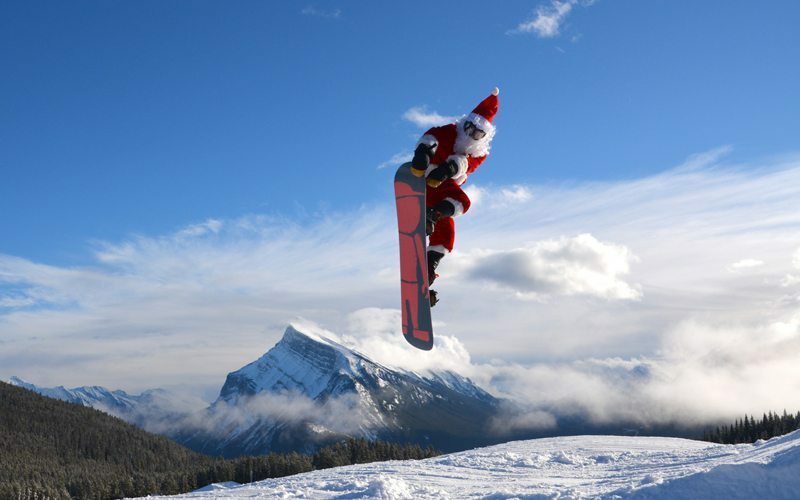 If all you want for Christmas is to ski or snowboard for free, then consider your stocking filled – on Christmas Day (December 25) Santa Shreds for Free at Mt Norquay! 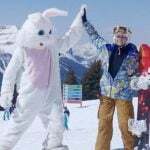 Anyone dressed up as jolly St. Nick (or Mrs. Claus, a Reindeer or an Elf)* will receive a free Norquay full-day lift pass. Tip: guests must wear full costumes, so remember to make an effort – just a Santa hat doesn’t qualify! On Christmas Eve (December 24), watch the festive glow as skiers illuminate the night sky and surrounding Rocky Mountains with shining torches at captivating slope-side Torchlight Parades. Grab a hot chocolate and get into the festive spirit at Lake Louise Ski Resort, or stay overnight at the Sunshine Mountain Lodge for a torchlight parade exclusively for on-mountain guests. Experience Lake Louise Ski Resort from a whole new perspective at the Torchlight Dinner & Ski Event – the ultimate après ski party (Christmas Day – December 25 and New Year’s Eve – December 31). Enjoy the unique opportunity to explore the hill after hours. 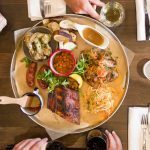 Tip: Begin the excitement at the resort’s mid-mountain lodge, Whitehorn Lodge, where you can enjoy après drinks, appetizers and live music in a majestic setting. Then enjoy evening tracks down a freshly groomed run with professional staff as your guide. Next, head to the Sitzmark Lounge where a smorgasbord of food and entertainment await you. 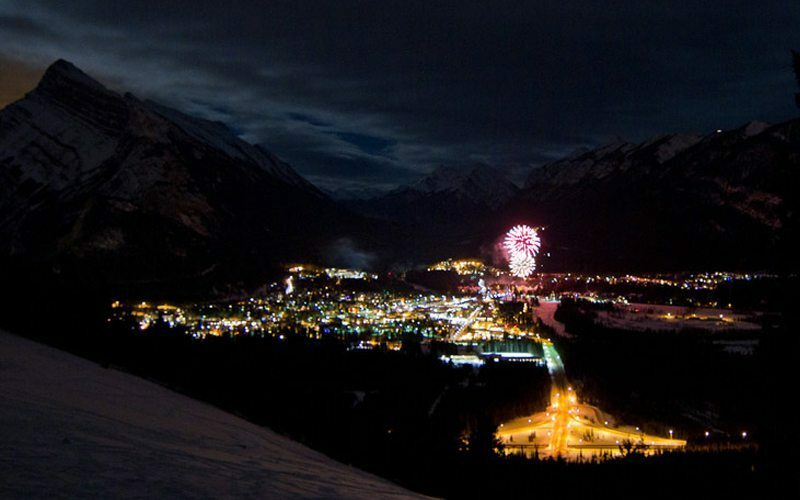 Closer to Banff, join Mt Norquay to ring in the New Year with their annual Torchlight Parade. 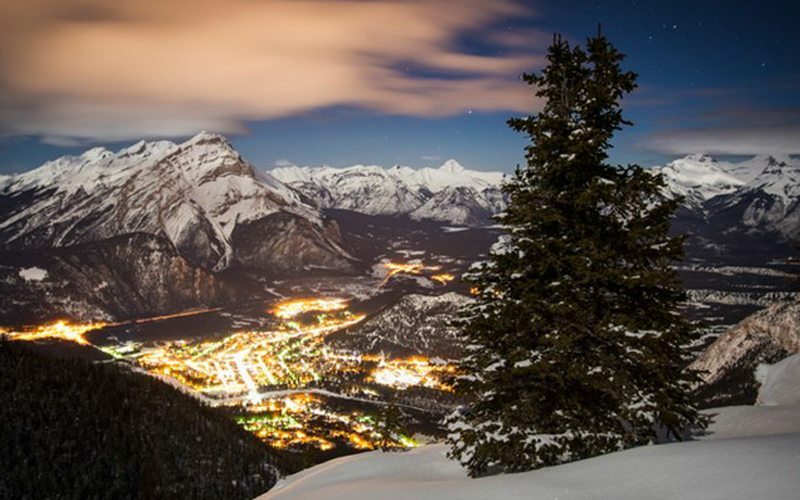 Tip: this breathtaking parade begins at the scenic summit of the North American Chair and the festive glow shines so brightly that it can be seen from the Town of Banff. 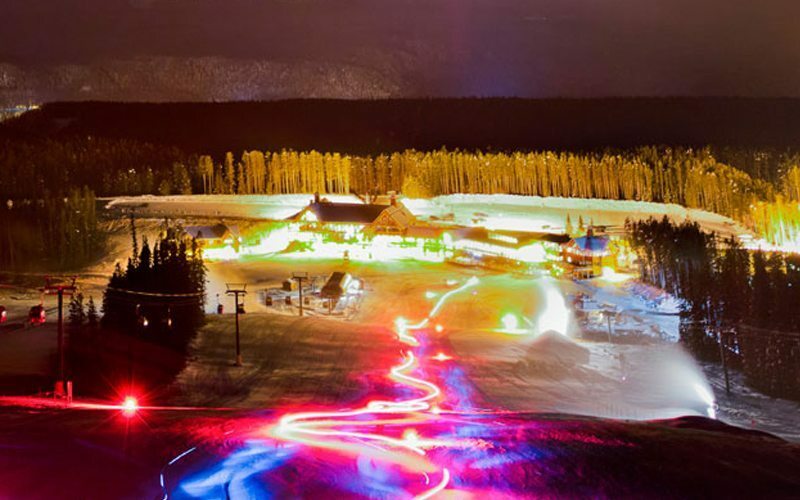 Enjoy the festive glow of an on-mountain Torchlight Parade. Photo: Lake Louise Ski Resort. Farewell 2016 in style at Banff’s New Year’s Eve Canada 150 Party (December 31). Celebrating the new year as well as the start of Canada’s 150th 2017 year-long anniversary, Banff Avenue will be full of street entertainment, children’s activities, games, warming shelters, interpretive programming, food booths and more. Tip: keep your camera in-hand – the night will wrap-up with a fireworks show framed by a backdrop you’ll never forget. Discover the stunning tranquility of starry skies from the rooftop observation deck at the all-new Banff Gondola summit. Hosted by two members of the Royal Astronomical Society of Canada and a Brewster interpretive guide, guests will enjoy uninterrupted views of star clusters, galaxies, the Milky Way, Mars and the moon. Enjoy the stunning views from the Banff Gondola. Photo: Banff & Lake Louise Tourism. A highlight of the winter season in Banff and Lake Louise, this month-long celebration features a variety of events, activities and shows that combine culture, history and winter action. 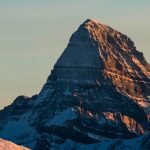 By day, skate on the stunning frozen surface of Lake Louise, watch competitive ice carvers or spend a day skiing or riding on the slopes of one of the nearby ski resorts: Mt Norquay, Lake Louise Ski Resort or Sunshine Village. By night, head downtown to immerse yourself in live music, ski and snowboard competitions, or fire-side drinks. Set in the heart of downtown Banff with Cascade Mountain standing tall as the backdrop, the SnowDays Kick-Off Party (January 13) starts the festival with a bang. 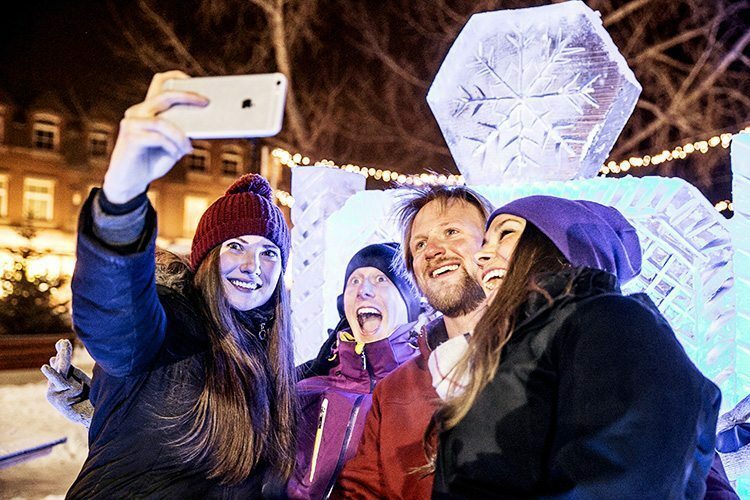 Featuring all things ice – an ice carving demo, an ice bar, an ice fire pit, ice skating and an ice playground, as well as a beer garden and delicious food vendors, this street party is an unforgettable way to welcome the most beautiful time of year in the Canadian Rockies. 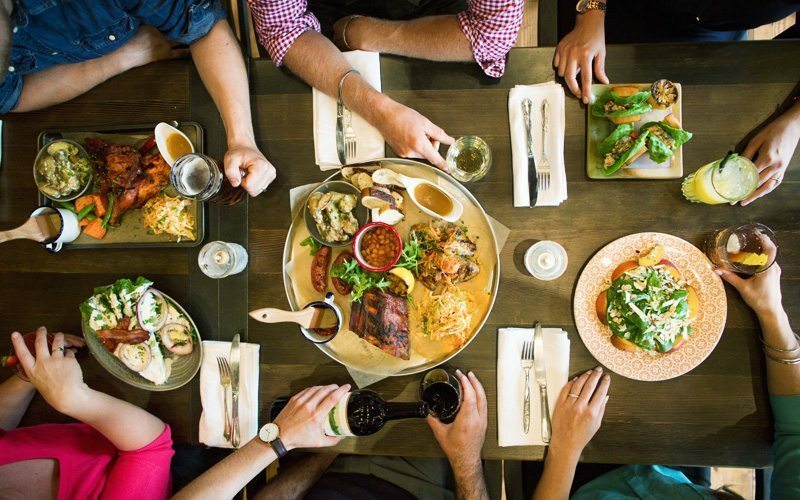 Sip, savour and enjoy Banff’s impressive food scene for five days during Banff’s Big Taste (January 18-22). 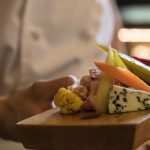 Tip: The big drawcard is a Grand Tasting Hall at the magnificent Fairmont Banff Springs, but fun events like the Pins & Pints Bowl-Off, Alberta Whisky Seminar and Banff’s Best Chef competition will keep you busy throughout these tastebud-tingling five days. 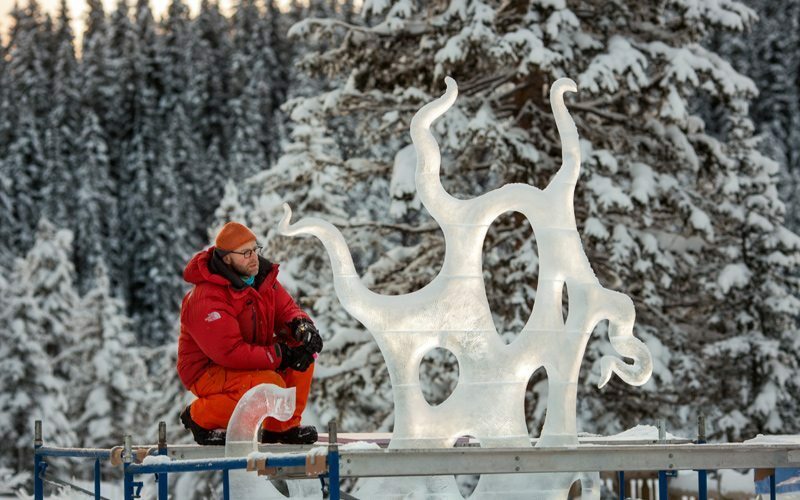 A particular highlight of SnowDays is the Ice Magic Festival (January 19-29), one of Banff National Park’s most celebrated events. Set in the spectacular surroundings of Lake Louise, the Ice Magic Festival is a world-class event with over 20 years of history. Experience the magic and watch as talented ice artists from around the world skillfully combine gruelling physicality with precision artistry in an ice carving competition. Wander amongst the emerging sculptures watching the magic in action, ask questions of the carvers, and vote for your favourite. Following competition weekend, marvel at the finished ice masterpieces and try some carving yourself. The Big Bear (February 3-5, 2017) is your chance to watch ski and snowboard pros up close as they stomp out their tricks at a unique location – the Banff Train Station. In between sessions there are chances to win great prizes, including tickets to the official after party. With DJs and music, plenty of food and beverages to enjoy and an outdoor skate rink, this will be an event to remember. Watch ski and snowboard pros up close as they stomp out their tricks at the Big Bear. Photo: Banff & Lake Louise Tourism. Single? Love to ski or ride? A fresh take on speed dating, spend the evening at Mt Norquay on a high-speed quad to the heart. The idea is you meet someone new on each chair ride and you already have a love for skiing or snowboarding in common. Tip: if you’re in need of snow-related pick up line, our blog has got you covered. 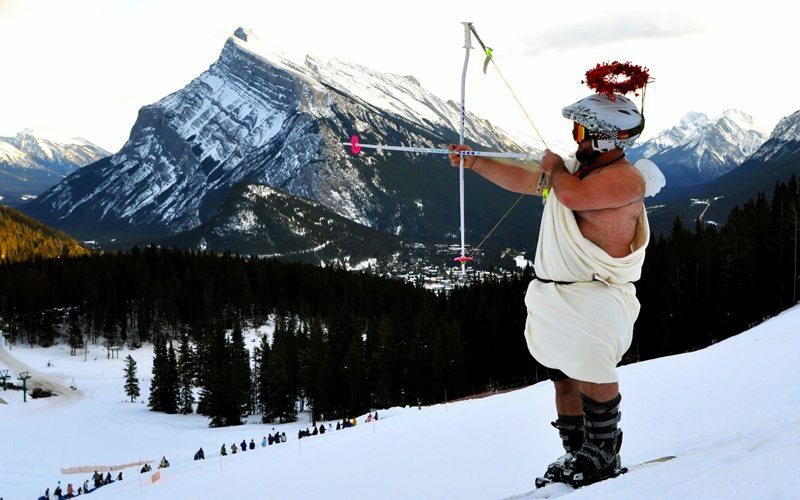 Meet your snow-loving match at Mt Norquay's Lifts of Love. Photo: Mt Norquay. 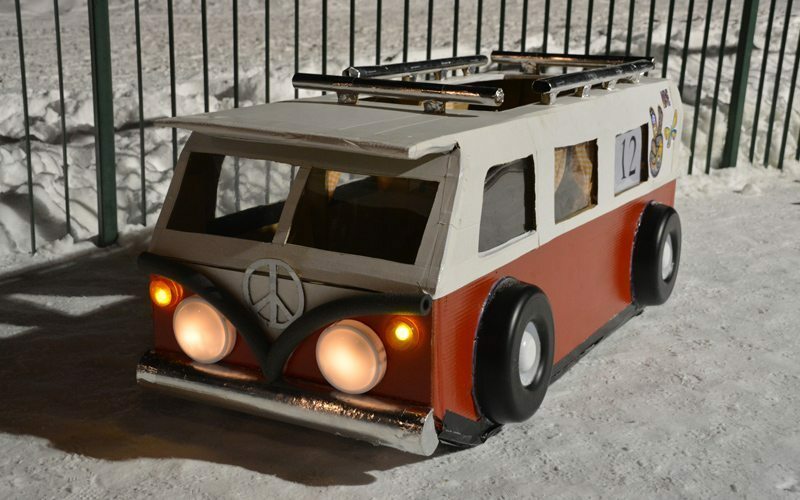 Prove your cardboard carpentry skills by building the fastest sled in town for the Cardboard Seld Downhill Derbies at Mt Norquay (January 20) and Lake Louise Ski Resort (April 23). Using only cardboard, string, tape and glue, get your teams together and challenge your friends to out-design, out-wit and out-sled the competition. Tip: make your sled go fast and look great. The best times and best designs will score cool prizes. 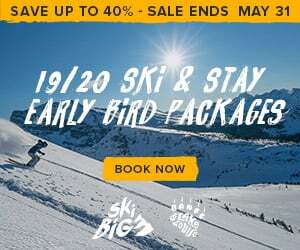 Starting at the beginning of April every Saturday and Sunday brings plenty of ways to enjoy the long days and apres traditions that come with spring skiing. Enjoy the sun and snow, and treat your ears to some slope-side tunes. 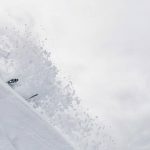 During the Lake Louise Spring Music Series (April 1 – May 7), spend your day shredding your favourite runs, sunning yourself on the backside at Temple beach, then settling in for some rocking live music on the deck of the Kokanee Kabin. Over at Sunshine Village, enjoy live performances from local bands each weekend afternoon the Sunshine Spring Concert Series (April 8-May 22). Grab a cold one and take a seat on the Trapper’s patio to enjoy the sounds of spring amongst Sunshine’s buzzing atmosphere. Each year in Banff and Lake Louise we seize the opportunity to send off the season with a bang. And the best part is, our resorts celebrate on different days – so you have more opportunities to join the fun. The Lake Louise Ski Resort winds down the ski season with Shake the Lake (April 29), a spring party to remember. Featuring live music, fine beverages, and an atmosphere like no other, this event sells out each year for a reason – it’s not to be missed. Even better is that the resort is still open for skiing until May 7th, so you can still enjoy another week of spring turns. 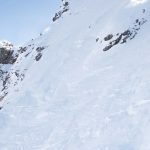 Just a few weeks later, Sunshine Village holds its own season 2016-17 ender celebration with the 89th Annual Slush Cup (May 22). 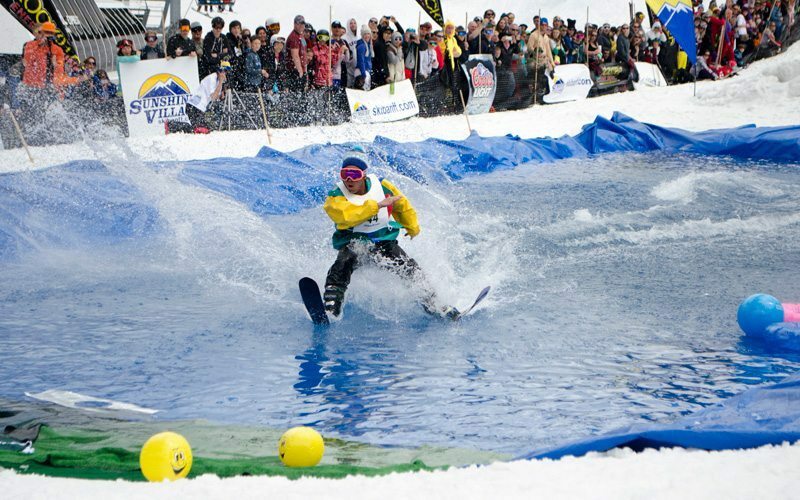 Held on the last day of the season, this competition sees participants ski or snowboard down a run into an icy pool of water. The aim is to skim across to the end on the pool. 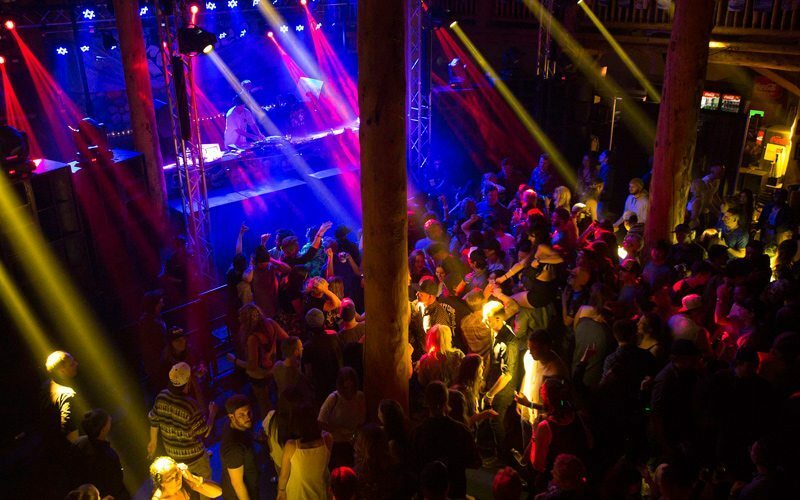 Ranked by both Skiing Magazine and Ski Canada Magazine as one of the top spring parties in North America, this is an event you need to experience whether you’re a participant or a spectator. 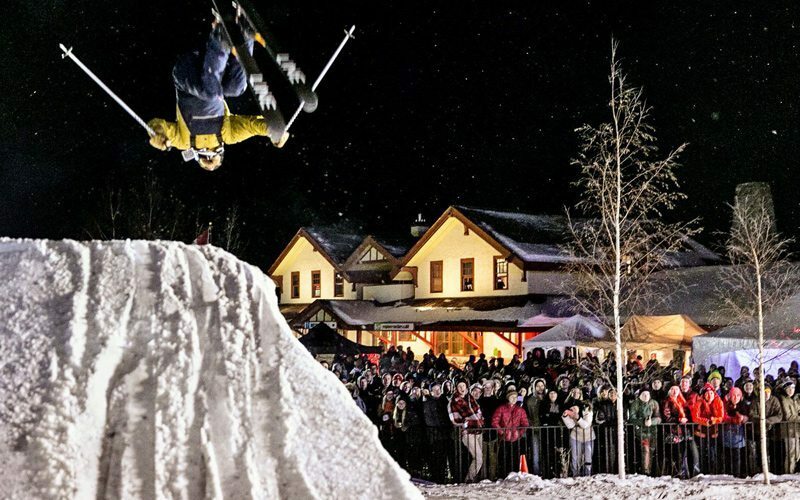 Farewell the season with a bang at a Season Ender Bender event like Sunshine Village Slush Cup. Photo: Shawn Alain. Remember to hashtag #SkiBig3 for your chance to be featured on our social media accounts!